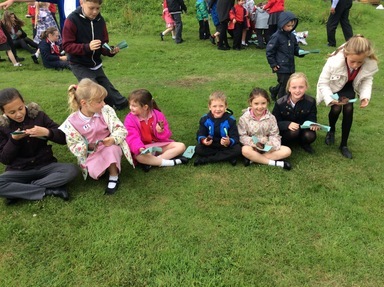 Year 6 and their special friends from our Reception Class held a very special liturgy on the school field this afternoon. 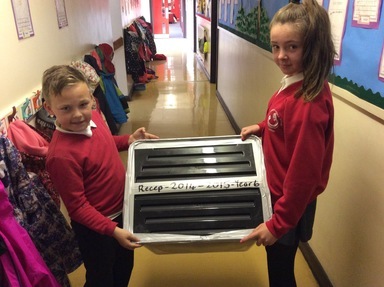 Over the course of the last year the Reception Class children have been preparing their own special time capsule, full of photos and works that they have created in their first year at St Joseph’s. 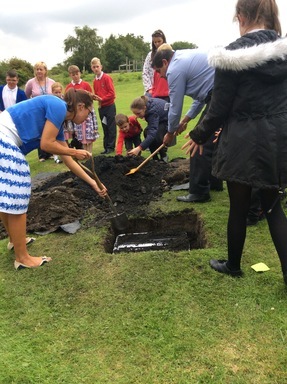 The Year 6 children provided a lovely liturgy on friendship and journeys to mark this important ceremony. 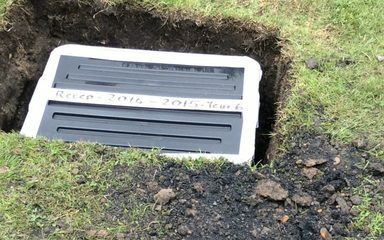 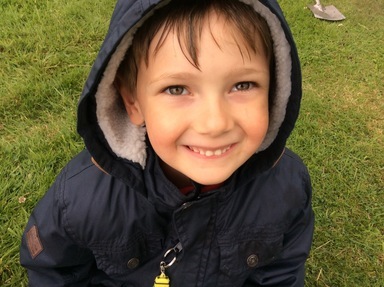 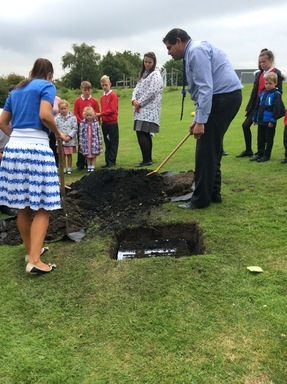 The capsule will be opened in 6 years time when our present Reception Class will themselves be in Year 6 and getting ready to go to their next school and the next part of their own journey to adulthood. 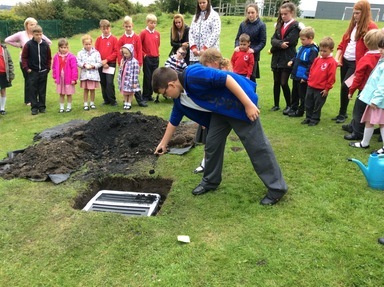 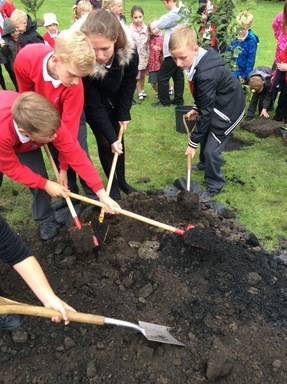 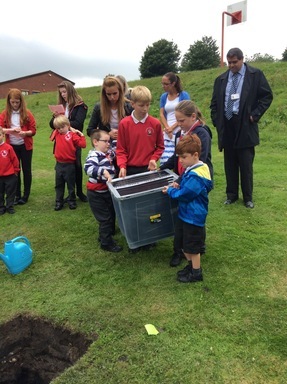 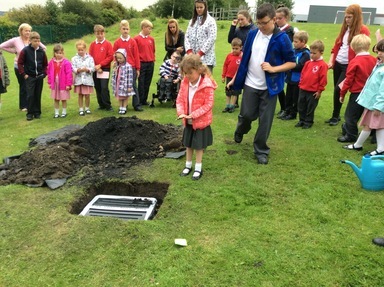 To go with the time capsule the children also planted an apple tree. 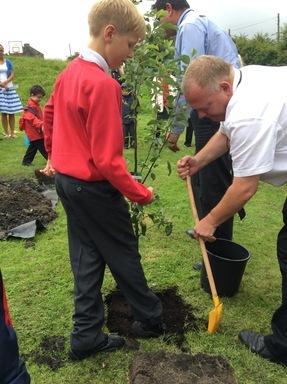 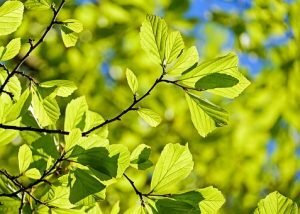 The children will see the tree growing and blossoming as they grow and blossom as the go through our school.